If a plea of “guilty” or “no contest” has been entered in your DUI case, then you are now responsible to complete the obligations imposed by the court, as a result of that plea. If you successfully complete all of the obligations in the designated time period, you should be eligible for an expungement when your probation concludes, to allow you to put this ordeal behind you. Where can I find all my obligations? To know what your obligations are, refer to the e-mail and/or letter sent to you by your attorney following your plea, as well as your plea documentation provided by the court, and adhere to all deadlines given. Note: If you submit anything to the court, Clerk’s Office, or go to the court to request an extension, or otherwise, you will need to provide them with your case number so be sure to have it on hand. It is listed in your discovery, as well as on your plea documents. Note: Keep a copy of any and all proof of enrollment, proof of completion, receipts or any other paperwork as it relates to your plea as long as possible, and at least until the conclusion of your probation, in the event that it is not properly submitted on your behalf, lost, or some sort of clerical error occurs. What do I do with my plea paperwork? For your reference, your sentencing sheet is a memorandum of all the terms of your plea. That form includes all the conditions of your probation, if any, the amount of your fines, and the due dates of all your obligations so keep it, and refer to it as much as you need to. You may also have referral paperwork for your DUI alcohol program, community service, community labor, MADD or HAM program, which you will need to take the original paperwork with you to enroll and complete your obligations. Note: Your referral paperwork may expire after a certain number of days, so you should try to enroll or register for your requirements as soon as possible. What do I do if I lose my paperwork? If your attorney has an electronic version of your plea documents, you can try to complete your obligations with those copies, and explain your circumstances. If not, or if the copies do not work, you will have to go to the Clerk’s office and request to be added on the calendar for new paperwork from the court. You may additionally request a copy of your docket from the Clerk’s Office for reference to your sentencing orders and deadlines. Note: You can additionally review your criminal case summary on lacourt.org to refer to future court dates, so long as you have your case number. What does it mean if I am sentenced to “summary probation”? Exception as to Travel: Certain countries may have their own restrictions on entry, i.e, Canada. How do you violate your probation? Why is it important not to violate your probation? 1. It constitutes a failure to obey the orders of the court, and as a result, the judge can modify your probation, and include additional requirements, such as community labor or jail time. Depending on the circumstances, the judge can revoke your probation and sentence you to the maximum penalty of your DUI offense. 2. A probation violation can eliminate your eligibility for an expungement. At the conclusion of your probation, so long as you have completed all your probation requirements, not committed any additional offenses to violate your probation, and all fines and fees have been paid to the court, you will be eligible for an expungement of your misdemeanor DUI conviction. Note: You are not eligible to apply for an expungement until the conclusion of your probation. What happens if I am pulled over on DUI probation and I have a “measurable amount of alcohol” in my system? A measurable amount of alcohol is .01 or more. So, while you may be under the legal limit by driving with, for example, .03 blood alcohol content, you are committing a violation of your probation. With the court: You will likely be found in violation of your probation. Additionally, the prosecutor may file criminal charges against you for driving under the influence, under Vehicle Code section 23152(a). Additional requirements, including significant jail time, may be ordered. With the DMV: If you are found to be driving with a measurable amount of alcohol in your system while on DUI probation, the DMV will likely consider that a probation violation. As a result, your restricted license privilege will be revoked, and your license will be suspended additionally for a 1 year hard suspension. Is a traffic ticket a violation of my probation? An infraction will not violate your probation. (Ex: Red light camera ticket, parking ticket, etc.) However, if you are pulled over, and cited for a misdemeanor, such as driving with a suspended license, then that will be a probation violation. What is the MADD program? M.A.D.D. is the Mothers Against Drunk Driving program. As apart of your probation, your attorney may have informed you that you are required to complete the Victim Impact Program, through the MADD Organization. The VIP panel is a 90-minute seminar. You must register before attending the seminar via phone or online. To register via phone, you must call 310-215-2911. In order to complete your registration online, you must visit: www.maddcalifornia.org/vip. There is an enrollment fee at or around $35. Alcoholics Anonymous classes are, often free, classes offered various days of the week that may be a separate requirement of your probation. If your attorney informed you that you must complete alcoholics anonymous classes, as a condition of your probation, which is separate from your alcohol program, then you must attend however many classes indicated to fulfill your probation requirements. 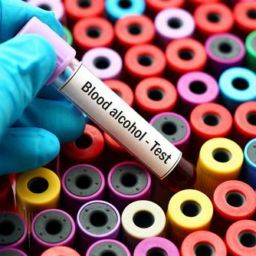 What is a DUI alcohol program? A DUI alcohol program is a court-approved structured instruction course for individuals convicted of DUI or DUI-related charges. A court-approved DUI alcohol program can be 6-weeks (“SB-1176”), 3 months (“AB-541”), 6 months (“AB-762”), 9 months (“AB-1353”), 18-months (“SB-38”) or 30-months in length depending on the circumstances of your conviction, and the number of prior offenses on your record. With the Court: If ordered by the court, as apart of your plea, you must enroll, and complete the entire duration of your DUI program by the deadline provided. Failure to do so will result in a violation of your probation and likely a bench warrant for your arrest. With the DMV: You must enroll in the alcohol program to apply for your restricted license. You must stay enrolled in the program to maintain your restricted license privilege. Additionally, you must complete the alcohol program to have your license reinstated to its original privileges. How long do I have to enroll in my alcohol program after my plea? 21 calendar days from the date of your plea. There are enrollment fees that you will be made aware of depending on the courthouse where your plea was entered and/or the DUI program you choose to enroll. What happens if I don’t enroll within the 21 day time period? You will have to go to court, and request to be added on calendar to see the judge for new enrollment paperwork. What happens if I miss too many classes in my DUI program/kicked out? With the Court: You will have to go to court, and request to be added on calendar to see the judge for re-enrollment paperwork. Warning: You may be found in violation of your probation if the judge finds that there was no good cause for your absences, etc. With the DMV: Your restricted license will be revoked and you will have to fulfill the entire period for your license suspension. Exception- If you were accidentally dropped from the program then the DUI program can submit a “Drop In Error” letter on your behalf to have your license reinstated. What is a hard suspension period? Your hard suspension period is the period where your driver’s license is completely suspended, with no restricted license privileges. You are not allowed to drive for that designated time period whatsoever. There are NO exceptions for the purpose of an emergency, work, school, or otherwise, during this hard suspension time period. At the conclusion of your designated hard suspension, you may apply for a restricted license and reconvene your driving privileges. What if I am caught driving during the hard suspension period? With the Court: You will be charged with an additional misdemeanor, which carries a mandatory minimum of 10 days in jail. The court can charge you with driving with a suspended license while on DUI probation, under Vehicle Code section 14601.2, which is not only an additional case, but also a violation of your probation. 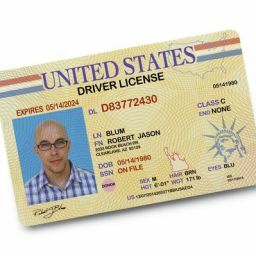 With the DMV: Your license will likely be suspended for an additional 1 year period, your IID restriction will likely be extended for another year, and you will lose your restricted license privilege. If applicable, following your designated hard suspension period where you are not to operate a vehicle at all, after which, you may be eligible to apply for a restricted license for a designated period of time, previously explained to you by your attorney. Depending on the circumstances, an IID may need to be installed in your vehicle in order to operate a motor vehicle with your restricted license. YES, IF you entered a plea to a DUI, and were placed on DUI probation, then the Ignition Interlock Device is additionally a requirement of your probation in LA County. With the installation of the ignition interlock device, you may drive wherever you like during the restricted license period so long as you are operating a motor vehicle with a functioning IID installed. NO, IF you entered a plea to “wet reckless,” under Vehicle Code section 23103.5, per 23013, or an Exhibition of Speed, under Vehicle Code section 23109(c). An IID is not required, however, during your restricted license period, you are only permitted to drive to and from work and/or school, and to and from your alcohol program. What do I need to apply for my restricted license? 4. A $125 check for the reissuance fee to apply for your restricted license. You can go to any company who offers SR-22 supplemental insurance. We suggest not going to your actual insurance company, as it will cause your rates to increase substantially. We typically refer clients to Breathe Easy Insurance. Our direct contact Insurance Specialist is Trey Roberts, who can be reached at (949) 870-8011, but feel free to shop around. Note: Breathe Easy can also provide you with a list of Installation companies for your IID. What happens if I remove the IID from my vehicle during the restricted license period? 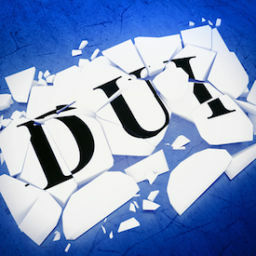 With the Court: In LA County, the IID is a requirement of DUI probation. Therefore, removing the IID prematurely, before your restricted license period concludes, can result in a probation violation. Pursuant to Vehicle Code section 23247(e), operating your vehicle without a functioning IID installed while on DUI probation is additionally a misdemeanor offense in its own right. With the DMV: Your restricted license will be revoked and you will have to fulfill the entire period for your license suspension. What if I have other questions regarding my license? You may call the DMV Mandatory Actions Unit at (916) 757-6525. 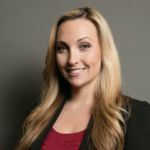 MAU is the DMV Headquarters in Sacramento, who can provide the final answer on any license concerns, whether it’s about getting a restricted license, IID waiver, etc., they can help. If your attorney instructed you that community labor is required as a result of your plea, then you must complete the designated number of days by the deadline ordered by the court. Community labor is different from community service. Where community service is a 10 hour day, community labor is an 8 hour day. Community labor can be completed in the form of picking up trash at a park, a beach, on the side of the freeway, graffiti cleanup, etc. Note: You should make a good faith effort to complete as many days as possible, and request an extension only if needed. Please see below for how to request an extension on the deadline for your probation requirements. How do I enroll in community labor? Included in your plea paperwork will be a referral sheet for your community labor, if required as a result of your plea. Follow the instructions listed on that sheet, and make sure to keep track of all of your hours and signatures, and retrieve the necessary completion documentation to submit to the court by the deadline. There is an enrollment fee. The program has three components; the hospital component which is a classroom setting at a local hospital, the morgue component which is taught by the Coroner, and the reflective essay component which typically requires writing 500 words or more about the impact of the program, and what you learned. You will need to use the referral paperwork provided by the court to enroll, and there is an enrollment fee at or around $200. What if I have to surrender for county jail time in court? If you have jail time associated with your case, then your attorney previously discussed a surrender date with you. If you are scheduled to surrender in court, you must surrender on the date selected, in the department, at 8:30 a.m. You may do so by going to the department at 8:30am, checking in with the bailiff and informing the deputy that you present for your surrender. The bailiff will further instruct you at that time. What happens if I miss my surrender date? If you fail to appear in court on time on the date of your surrender, the judge will issue a bench warrant for your arrest. Additionally, the court can sentence you to the maximum penalty allowed for your offense for failure to obey the court’s order. What do I do if I need to move my surrender date? You CAN surrender PRIOR to the date, you CAN’T surrender AFTER the date. You may surrender on a date prior to the date scheduled with the court. In order to do so, you must go to the court, and request to advance your surrender date. What if I have to surrender for county jail time at the Inmate Reception Center (“IRC,” for males only) or at Lynwood (for females only)? You must be at the facility to surrender that day before 5:00 p.m., unless otherwise instructed by the court or your attorney. How do I begin my electronic monitoring? If your attorney informed you that your case is eligible for electronic monitoring, then you will need to contact Sentinel Offender Services ASAP to discuss your enrollment, and installation of the monitoring device. Call the direct contact person provided by your attorney immediately. How do I pay my fines to the court? You must go to either the Clerk’s Office or Cashier’s Window, and give the clerk your case number, and let them know that you are there to pay your fines for your case. As a precaution, when the clerk provides you with a receipt, keep that receipt until your probation has concluded. Is there a payment plan to fulfill my balance with the court? The court does not have the resources to facilitate a formal payment plan. However, if the court gives you 6 months to pay your fine, for example, you can put aside portions of your fine each month, and pay the full balance at the conclusion of the 6 months. Note: If you get close to the deadline, and you know it is impossible for you to pay the full amount of your fines by that date, go to the Clerk’s office prior to the deadline and pay whatever portion of the fines that you can afford, and request to be added on calendar to ask the court for an extension on your fines. The good faith effort to pay the portion of your fines prior to the deadline may show the judge that you are taking probation requirements seriously, but more time is needed. What If I can no longer afford to pay the fine? Depending on the circumstances of your case, you may be eligible to complete community labor or serve time in county jail in lieu of paying your fine. In order to so, you must go to the Clerk’s Office prior to the deadline, and request to be added on calendar to let the court know that you are experiencing financial difficulties, and you would like to convert your fines to either community labor or county jail time. If granted, the court will then give you a new deadline to provide proof of completion of the fine alternative. Do I have to wait until the deadline to turn in proof of fulfillment of my probation requirement? No. If the proof needs to be provided to the Clerk or Cashier’s Office, you may turn in any required documentation on or before the deadline. Note: If the proof needs to be provided in court, you must first go to the Clerk’s Office and request to advance your court date to provide your documentation to the judge. What do I do if I need an extension for my court deadlines? You must go to the Clerk’s Office and request to be added on the court’s calendar to ask to the judge for an extension. For example, an extension for your proof of completion date for your DUI program, to complete your community labor, payment of your fines and fees, etc. Note: The court will likely grant your extension so long as you make the request prior to the deadline. What happens if I miss a deadline in my case? Failure to appear in court or at the Clerk’s Office on or before the deadline provided by the court, will result in a bench warrant for your arrest. Note: If this happens, you will need to go to the Clerk’s Office immediately and requested to be added on the court’s calendar to have the warrant recalled and quashed.